Heating the pool is progressing nicely now that we seem to be past the snow! The pad has been prepared for pouring a concrete slab which will take place late this week or early next week. Heaters and fixtures have been ordered and the technicians are on top of having the pool ready to go well before camp begins. The pool gets covered with a “rhino cover” at the end of the summer and it is removed in late spring. It will be removed a little earlier this year to prep for the heating process. Everyone is excited about the pool getting a heater – especially me. I am excited about it because it has been the number one complaint of kids for the past 15 years. Thanks to the Champions of Faith fundraising Dinner this past fall, we are now financially able to do it. Pool House extension pad ready for concrete pour. ← Seton Catholic School Play, SSMO trip by Chartered bus to Sacramento…exciting week ahead! I’m sure the kids will be thrilled. Though I will miss the stories of “The pool was sooo cold…” It was fun to hear how tough they thought they were to swim in a “solar heated” swimming pool! that pool sounds good! A terrific form of exercise! Ihope they will teach for those that don’t know how!!!!! Just where is Camp Howard located? 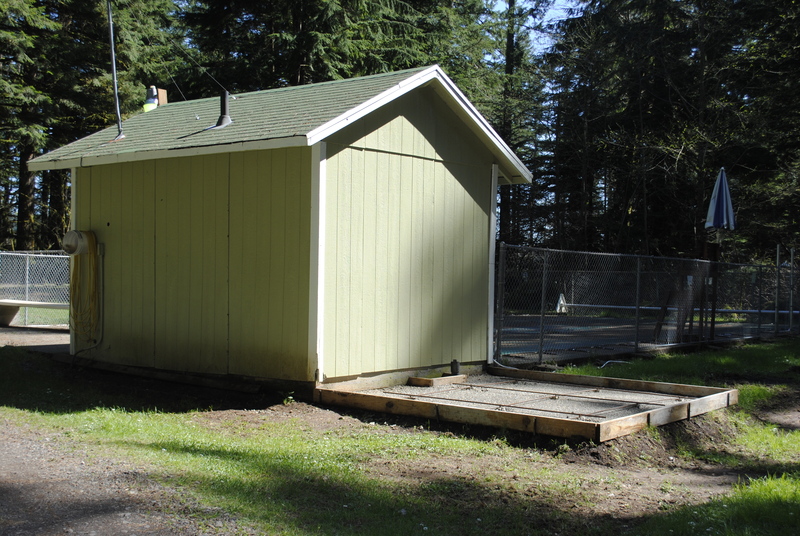 Camp Howard is located between Corbett and Sandy in Oregon. Next year the camp will celebrate 60 years as a camp! Thank you for asking!